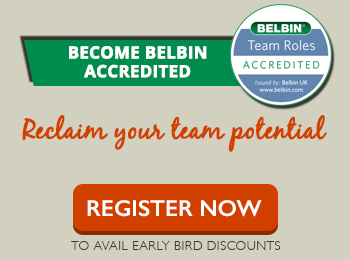 Belbin Team Roles allow an organisation to form balanced project teams such that the team role contributions necessary for successful implementation of a particular project are present within the team. This gives a team a headstart at being successful since the behaviours and contributions required for success of the team are inherently present within the team. The Belbin Team Role theory and reports help the team consciously capitalize on their strengths. 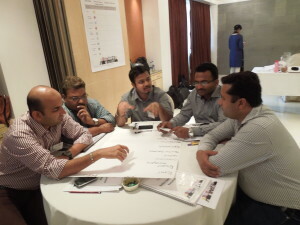 Shared common understanding of what is required at various stages of the team project. Ability to identify and create the environment wherein team members can put forward contributions for the success of various project stages. Team Role knowledge and deployment, allows already formed teams that may not have a perfect balance for the particular goal to manage their resources in such a way that team potential is realised and possible weaknesses are managed among team members. Ensuring time is used effectively at meetings and conducting effective meetings is often cited as a challenge. With The Belbin Team roles, team members now learn how to make the team meetings most effective by directing their energy at the task at hand. The team roles helps the team draw from crucial resources at each project stage and at various points of time in a meeting. Understanding of the team roles helps the team organise the resources for the various team stages.